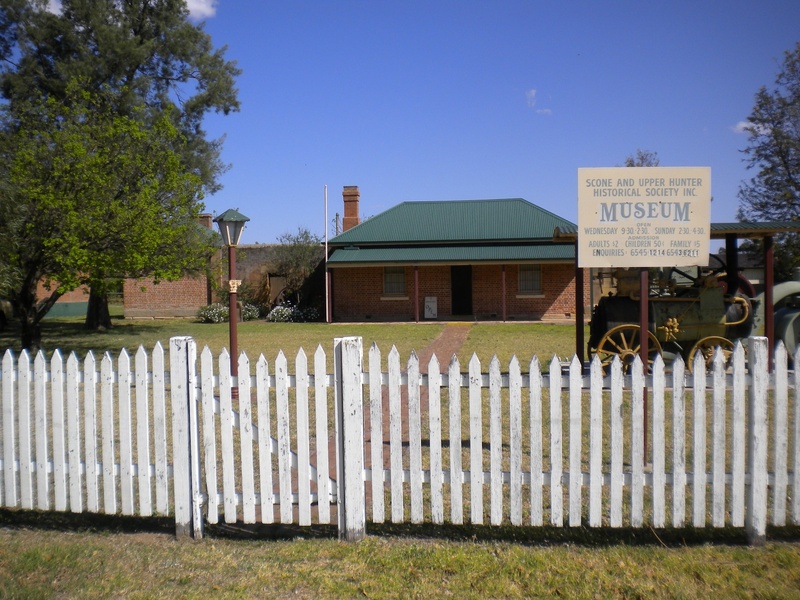 Discover bygone times at the Scone Museum. Learn about Scone and district, the history, the people, and their way of life. Housed in the old Scone Lock-up and built in 1870, the lock-up was adapted as a residence in 1930 when new cells were built in the exercise yard. It became the home of the Museum and Historical Society in 1966. The Scone district was home to the Wonaruah people before Europeans arrived in 1825. To the settlers it was a centre of rural life and a stage on the route northwards. Today the saleyards, abattoir, Lake Glenbawn, and the cattle properties and horse studs of the district give it life. See the permanent and changing exhibitions–enjoy the collection of dolls and toys. See the war memorabilia. Look into grandmother’s kitchen and inspect grandfather’s tools! The Research Centre is located in the former Sergeant's residence and contains photographic collections, newspapers, town land records and records of local organisations.